Winter has now arrived in earnest. It is not bitterly cold yet, but it is coming fast. At the same time, with less daylight, less humidity and more holiday and end-of-year stress, you may be wondering how long it will be before a friend or family member comes down with a cold or the flu and you succumb as well. While we can’t promise to keep cold and flu germs from ever crossing your path this winter season, we sure can give you some timely tools to help your immune system fight off germs as they arrive. Here, we share our top five steps to improve your indoor air quality and your health this winter season! From formaldehyde to radon, volatile organic compounds to mould and mildew, there is only one way to know for sure what is floating around in your indoor air supply! That way is to have your indoor air professionally tested. This silent 72-hour test will pinpoint your air quality issues and how to fix them. Imagine what your shelves or countertops might look like if you didn’t dust or clean them for a decade. They would probably be pretty dirty and dusty, right? But this is unlikely to happen, since you see the surfaces in your home and workplace all the time and you know when it is time to clean them. This is not the case for your air duct system—the same system you trust to transport your indoor air supply from room to room. While new air duct systems will stay clean for a long time, older ducts that have begun to sag, crack or leak become increasingly vulnerable to trapped debris and dust. The only way out for this debris is if you manually remove it, which is precisely what a professional indoor air duct cleaning is designed to do. There is a reason contractors in our area are now required to install heat recovery ventilation systems in all new construction. They really do make a difference in the quality of your indoor air supply! Ventilation is not new. In past decades, this was accomplished by simply opening a window or a door. As well, older homes and buildings typically provided organic ventilation through the myriad small leaks and cracks built into the structures themselves. But today everything has changed. With new airtight construction standards, meant to help you save money on energy costs and conserve natural resources, we have inadvertently created a new problem to fix: stale indoor air. 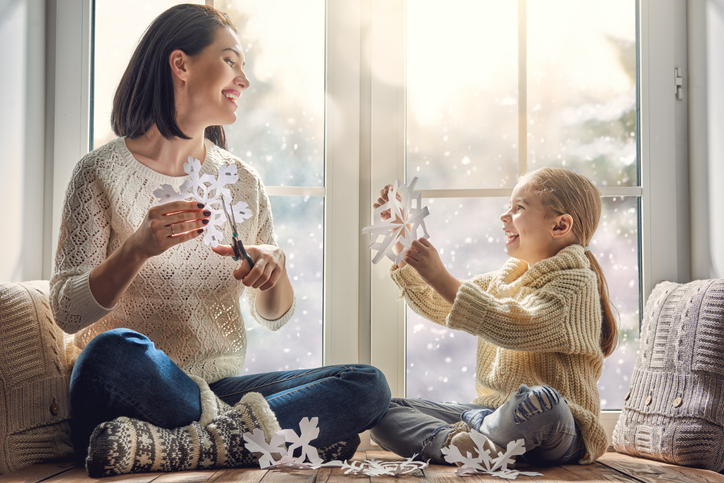 Airtight construction offers no natural ventilation opportunities, and with Canada’s seasonal weather extremes, opening a door or window isn’t always safe or even possible. Heat recovery ventilation systems fix this, and they can be retrofitted to work with any existing HVAC system. As a bonus, these systems also provide natural humidity balancing and assist with moving airborne toxins outside your home or workplace. Unless your HVAC system is hospital-strength (HEPA-rated), there is truly only so much your filter can do to remove airborne pollutants from your indoor air at home or at work. The vast majority of existing residential and most commercial HVAC equipment cannot handle HEPA filters, which do a great job filtering incoming air but place too much pressure on the blower motor. But this doesn’t mean you have to live with sub-par indoor air quality during cold and flu season! The answer doesn’t necessarily lie in upgrading your HVAC system either, although that can help when the time comes. The best approach is to retrofit your system to work with either a HEPA air filtration system or an ultraviolet air purification system. HEPA stands for High Efficiency Particulate Air filtration, and it has been the gold standard since its development during World War II. HEPA filters are dense and powerful and are able to trap airborne particulates as small as 1/100th of a single human hair! An ultraviolet air purification system uses the strongest band of ultraviolet light, band C, to zap toxins right out of the air. It neutralizes them by changing their basic chemical or DNA structure so they can neither replicate nor do any harm. You don’t need to use both a HEPA filtration system and an ultraviolet air purification system. One or the other will do the job depending on the specific issues you face and the needs you have. During the summer, few people give much thought to humidity indoors. Outside of individual issues with seasonal allergies or asthma, for most of us it is plenty humid enough during the hot season! But in the winter, as things steadily dry out, our bodies become less well-equipped to fight off cold and flu germs, pollen and allergens, and environmental toxins. You may not love nasal drainage or mucous (who does?) but it is an essential ally to help your immune system trap germs and transport them safely out of your body. Humidity helps your body produce moisture to fight off illness, allergies and toxic exposure, which is why we recommend the use of portable or whole-home humidifiers in winter. Here at Clean Air Solutions Hamilton, we are dedicated to helping you stay healthy so you can enjoy this precious and fleeting holiday season! We specialize in providing creative and economical strategies for improving your indoor air quality at home and at work. Right now and through December 31, 2018, save 10 percent on all three of our popular indoor air duct cleaning packages, whether you purchase a package for yourself or as a gift for a loved one! Contact us online or give us a call at 905-544-2470 to learn more and schedule your service.